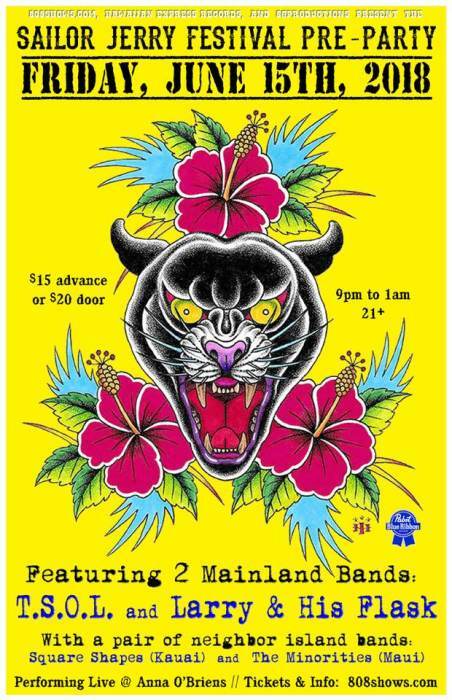 Also playing Saturday, June 16 at the Sailor Jerry Festival! 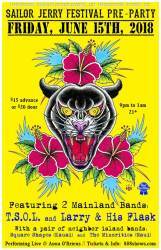 2 mainland bands and 2 neighbor-island bands for just a $15 presale! We will have plenty more tickets ($20 each) starting at 9pm at the club.